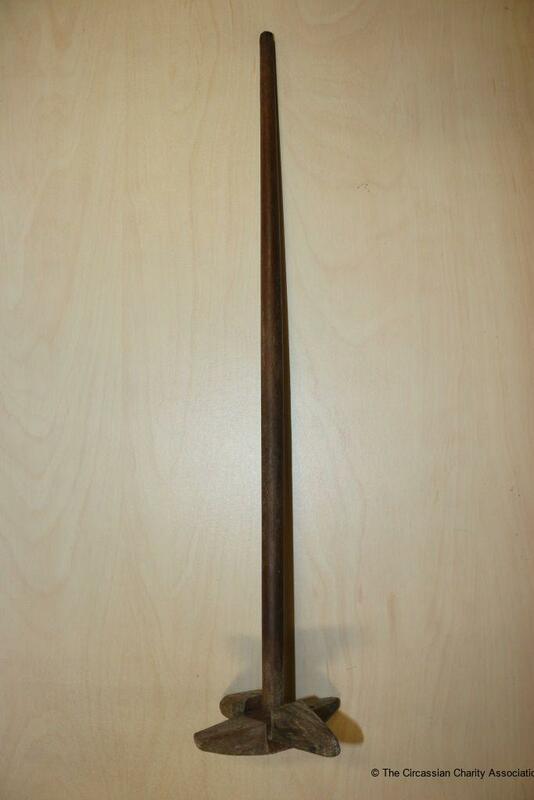 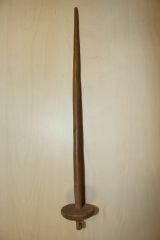 A spindle is a straight spike made from wood used for spinning and twisting wool fibres into yarn. 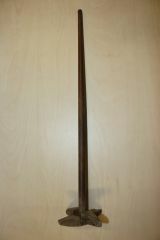 It is weighted on one end, by a disc or spherical object called a whorl. The great grandparents of the owners of this object brought it with them to Jordan when they immigrated in 1860.